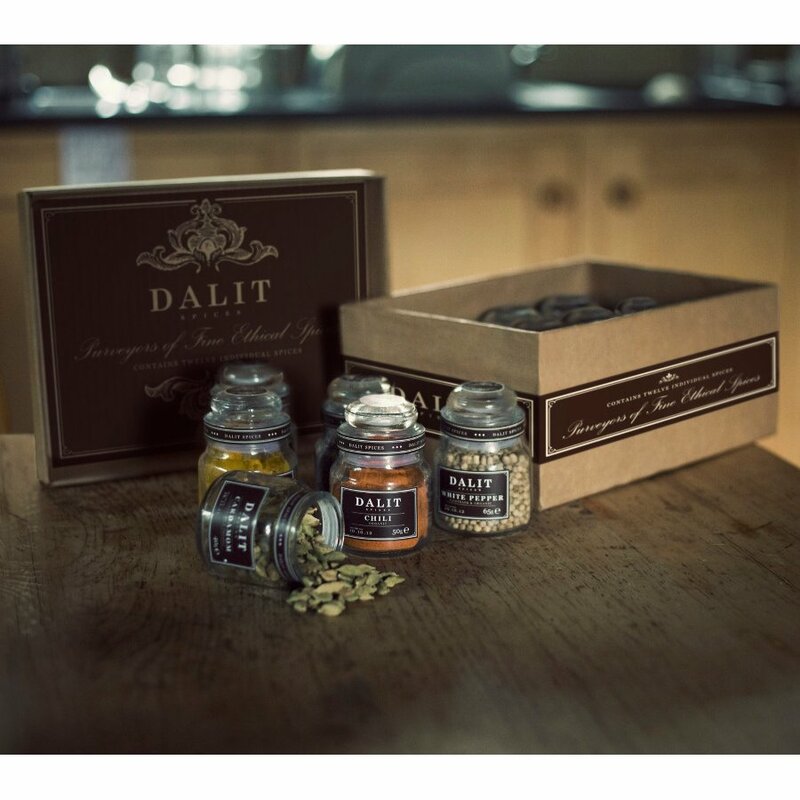 A perfect gift for anyone this stylish spice box from Dalit contains a wide selection of fair trade spices in 12 adorable glass jars. 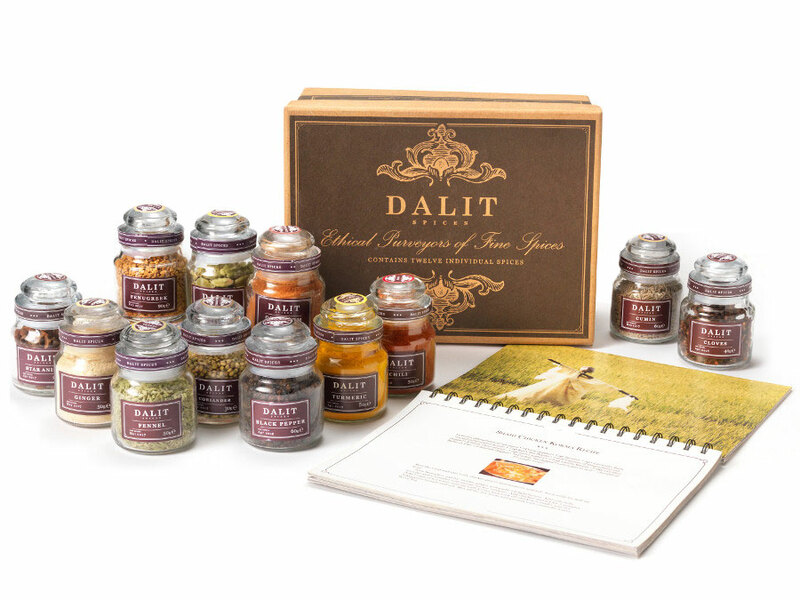 This gift set also contains a beautifully illustrated ring bound recipe book containing 40 original recipes to help you make the most of this varied collection of spices. 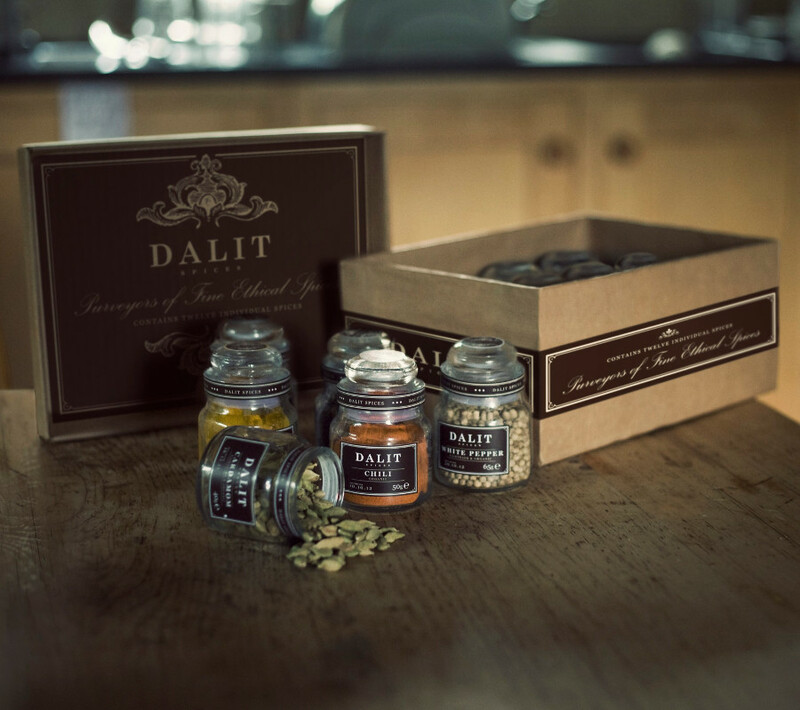 These delicious spices are sourced direct from the growers in India and profits from the sale of this gift set go straight back to help the Dalit people of India. About the Producers: For centuries the Dalit people in India have been known as the 'untouchables' people that are expected to drink from clay cups which are then destroyed. Life Association the charity behind Dalit invite people in Mumbai to create clay pot candles and these charming spice boxes. These products are then sold in the UK and help to make a stand against this powerful symbol of oppression. 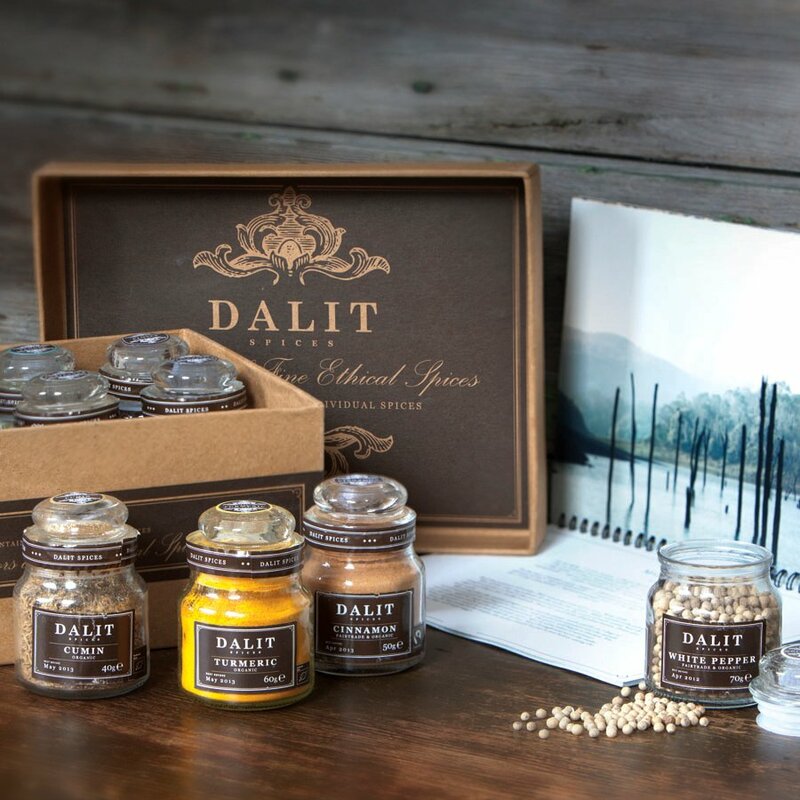 The profits from the sale of these candles and spice boxes go straight back to the help the people of India to build schools and orphanages amongst the Dalit communities. Number of spices per box: 12. 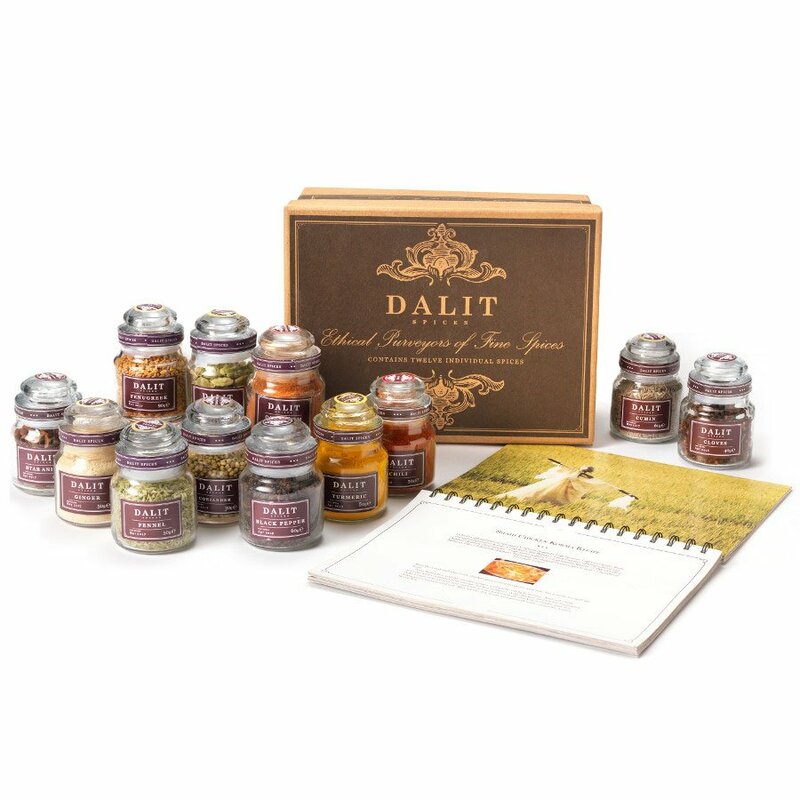 The Dalit Spices Gift Set & Recipe Book - 12 Spices product ethics are indicated below. To learn more about these product ethics and to see related products, follow the links below. Beautiful product such a pity it was a Christmas present was very tempted to keep it myself. 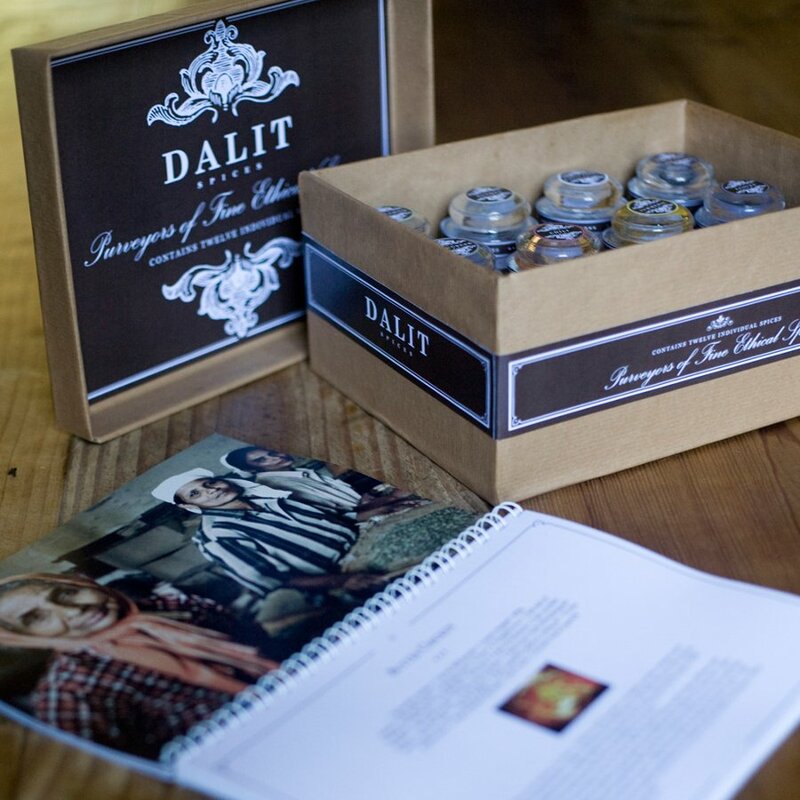 There are currently no questions to display about Dalit Spices Gift Set & Recipe Book - 12 Spices.